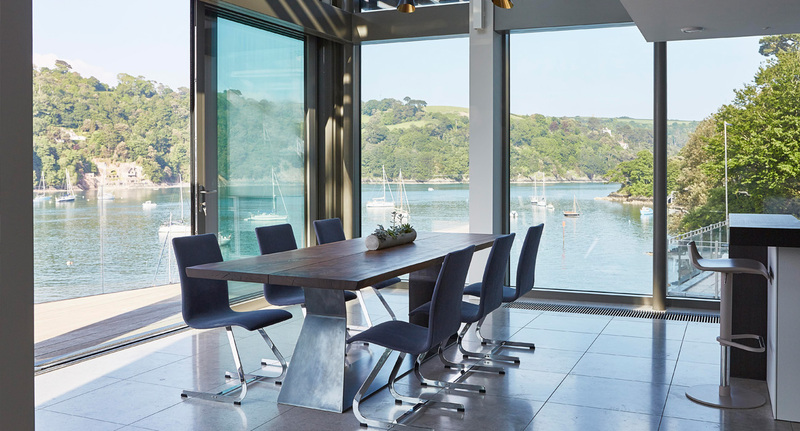 BBH were initially approached by the clients to undertake a modest extension and refurbishment project to the existing 1960s property, their longstanding holiday home, which was in need of modernisation. 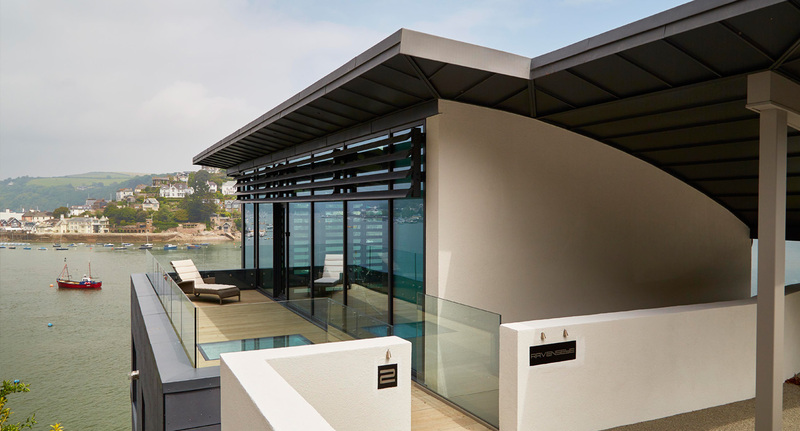 During the early stages, BBH carried out feasibility assessments with other professionals and concluded that the extensive works required to extend and modernize the property were not practical or cost effective. 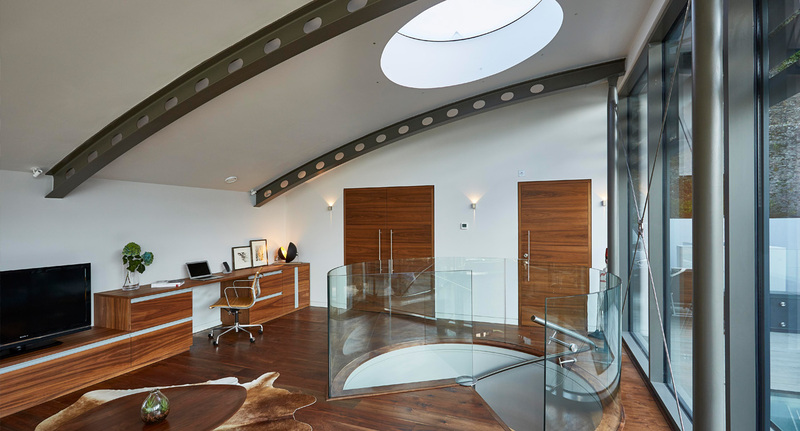 BBH worked closely with the client to arrive at a cutting edge contemporary replacement dwelling scheme. 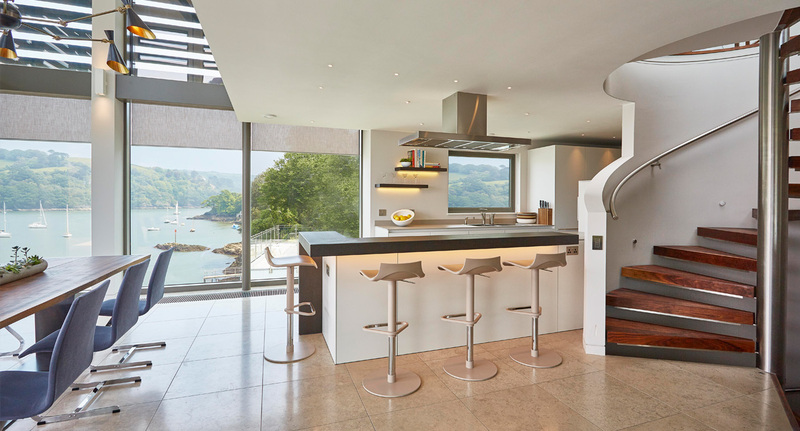 From here, the team underwent a challenging planning process but were delighted to secure approval in early 2013. 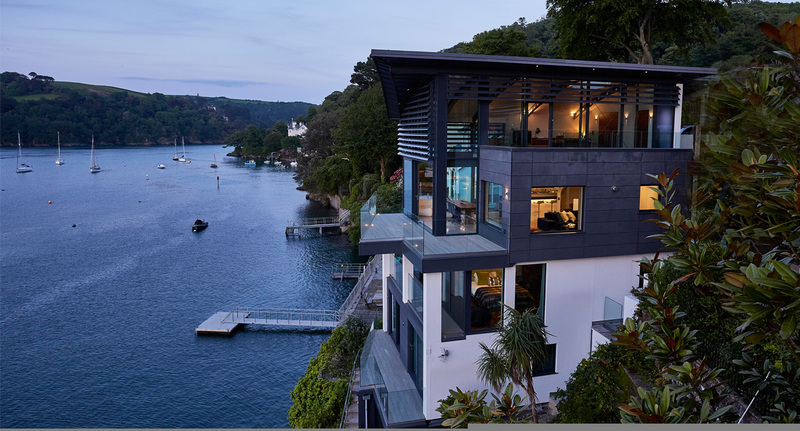 From this point, BBH were tasked to undertake the fully detailed construction drawings in order for the project to be priced for the client at competitive tender. 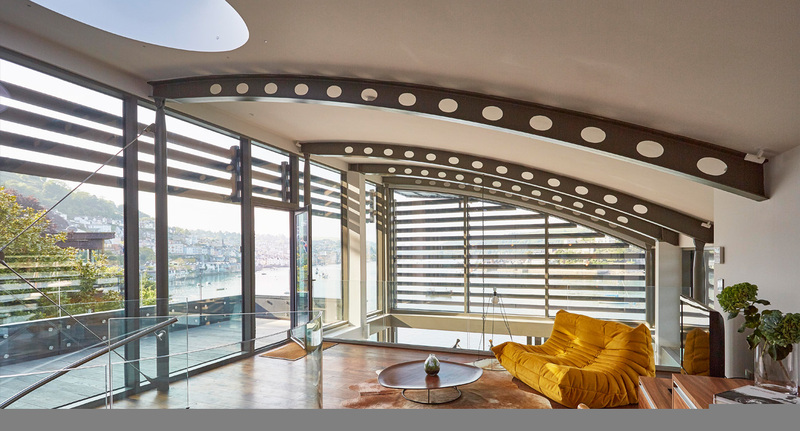 During the build process, BBH were pivotal in bringing together the design team, including a full interior design package, lighting engineers, renewable specialists and the main contractor with their sub-contractors to complete the project to a high standard in early 2016. 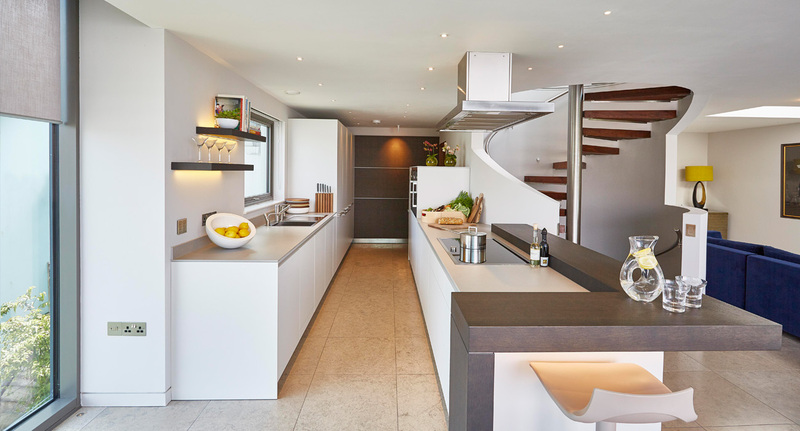 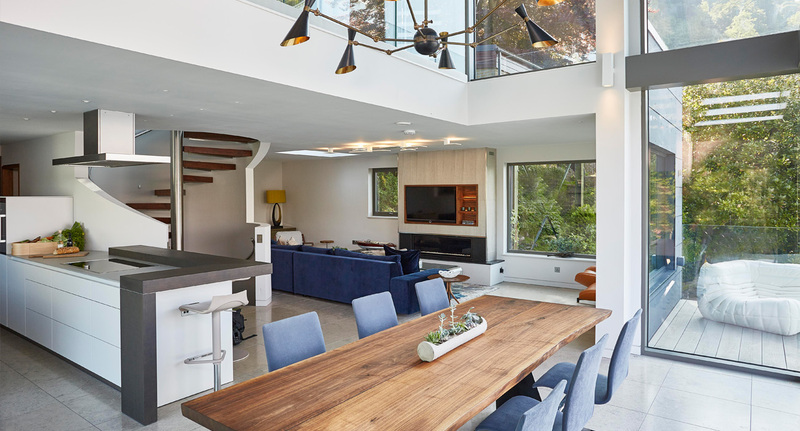 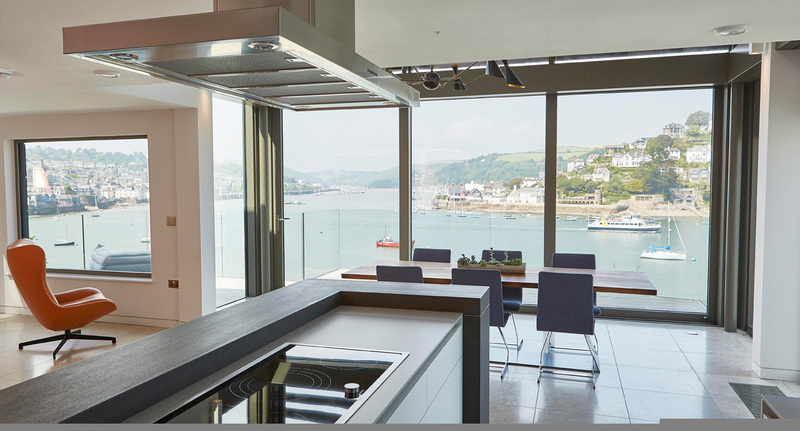 This four bedroom luxury house utilises steel frame construction, visible on the upper mezzanine level and an open plan kitchen / living / dining area opening onto the main balcony with frameless glass. 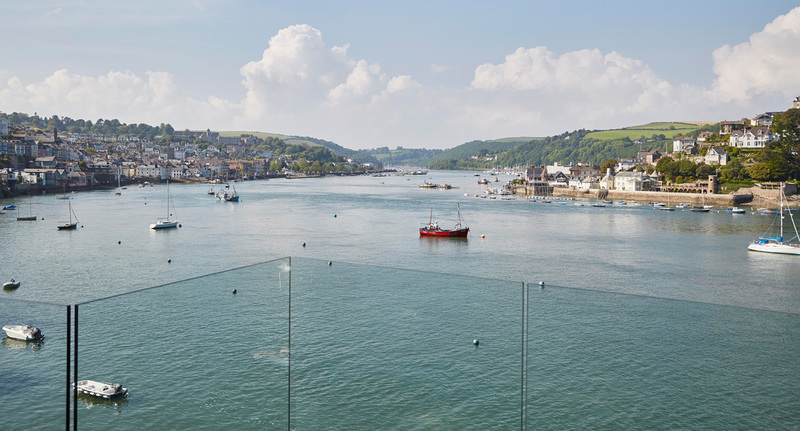 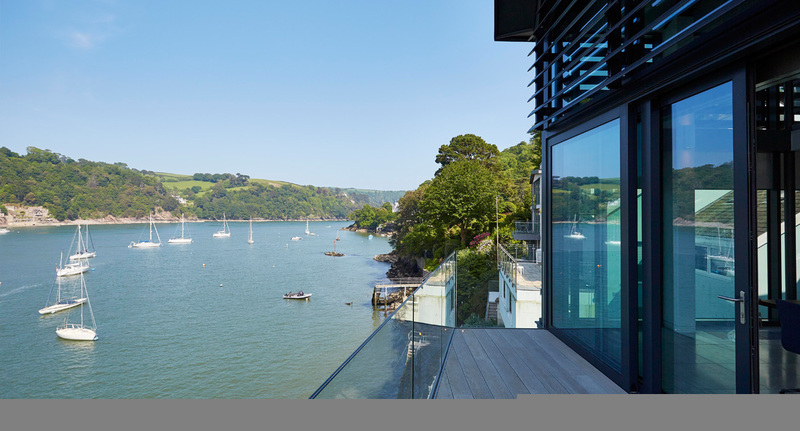 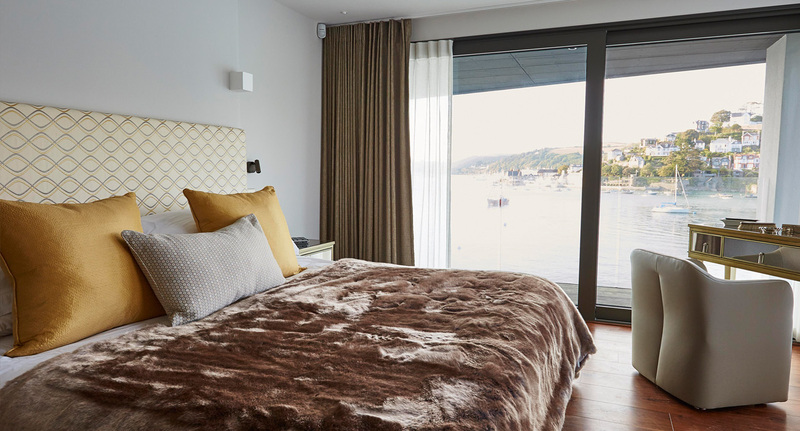 Each floor is accesses via a stunning walnut spiral stair and each bedroom has its own ensuite and balcony overlooking the River Dart with an exceptional views.